Click "More Details" button to get into this lounge using Priority Pass! Have your next kegger at the airport. 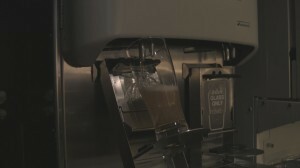 The Asahi beer dispenser at NRT United Club. Notes: Where this United Club loses a little in the food department, it makes up for in seating variety and separation. Nicely sectioned areas of spots to relax, have a quick bite or get work done are scattered throughout the space. You’ll have a choice of deep or shallow loungers, table seating or vintage chairs so there’s likely to be something that suits your individual taste. 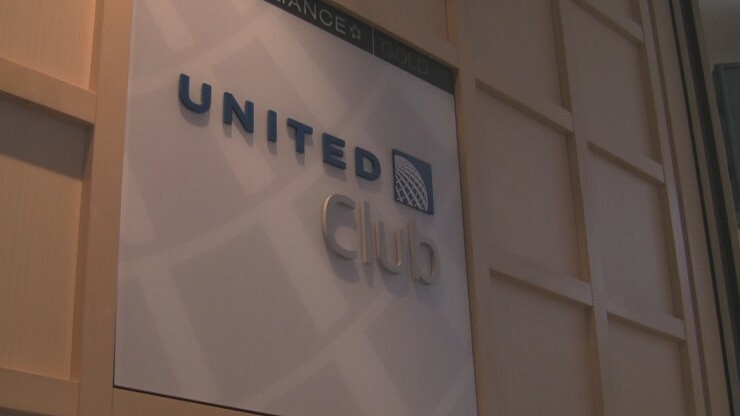 The only thing that might prohibit comfort is that this lounge is often crowded, particularly during gluts of United departures, making it harder to locate that perfect spot to…well…lounge. While there are no real hot food options, You will find sushi, miso soup and an extended variety of snacks. A much better food buffet than what you’d experience in a US domestic United Club. Showers are available for rinsing away the 14 or so hours you might have just spent flying over the Pacific…or North Pole. Just be ready to wait a bit if the lounge is crowded. Wi-Fi: Yes/Complimentary. Worked okay on our visit, but have heard from fellow modhoppers that it can be spotty. Service: Friendly and super-efficient check in. With as many people that come in and out of this lounge, I guess you develop a routine. Clean up appeared slow but I can imagine it’s a tall task to keep up with the turnover in this often busy lounge. Convenience to gate: It can be a long walk if you’re flying something other than United. Check to see which satellite your next flight is from. If your flight isn’t from T1, you’re in trouble. How I got in/Strategies: Priority Pass. If you’re not particularly loyal to a specific airline or don’t travel enough to justify the cost of a full lounge membership, I highly recommend joining.